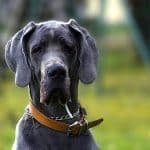 Dogs – particularly large dogs – often suffer from a set of pretty common health ailments, including poor coat condition, itchy skin, joint problems and a few others. In fact, dog fish oil supplements have proven so valuable that many dog owners have started administering them to their pets as a matter of practice. And this includes the owners of completely healthy dogs, as fish oil appears to offer preventative value too. But, there are a lot of fish oils on the market, and some are much better than others. We’ll try to help you find the best fish oil for dogs below, and we’ll also explain everything you need to know about these fantastic supplements. Some manufacturers use completely unaltered fish oil – they simply package the harvested oil and ship it out the door. Some choose to use a single species (often salmon) and some choose to use a combination of different fish oils. Other manufacturers process the product very slightly before packaging. Typically, this means that they mix in naturally occurring tocopherols (such as Vitamin E). This helps to extend the shelf life of the product and will not harm your dog in any way. Mixed tocopherols are used in most dog foods, human foods and a variety of other consumer products. A few other manufacturers add things like gelatin or glycerin to help extend the shelf life of the product, change its consistency and stabilize the color of the product (100% fish oil supplements may vary in color). Gelatin and glycerin are both safe additives, which most dog owners are comfortable giving their pets. And while most fish oil manufacturers avoid artificial additives or controversial ingredients, a few products may include additional vitamins or minerals, and a few contain things like algae. These items are generally considered beneficial additives, but they vary from one product to the next, so it’s wise to just consider them on a case-by-case basis. What are the Benefits of Fish Oil for Dogs? Some dogs suffer from intestinal inflammation, which can be caused by genetic factors, poor food choice, parasites or infectious disease. And, while many of these conditions will also require medications or veterinary treatment to heal, fish oil supplements can be very beneficial for treating the inflammation. Arthritis (more accurately called osteoarthritis) usually occurs because the cartilage in a dog’s joints wears down and becomes inflamed. Fish oils have proven very effective in reducing this type of inflammation, thereby relieving your dog’s pain and helping to improve his mobility and his joints’ range of motion. Hip and elbow dysplasia (which are very common among big breeds) occur when a dog’s hip or elbow joints fail to develop properly. This causes the cartilage in your dog’s joints to break down (as it does in arthritic dogs), which triggers inflammation in your dog’s hips or elbows. This can cause your dog to limp and suffer from pretty significant pain. Fortunately, most good fish oil supplements will help alleviate this type of inflammation. Dogs – particularly big breeds – can suffer from spinal problems, such as slipped discs or degenerative disc diseases. This causes a lot of very painful inflammation, which fish oil supplements can often eliminate. Although high blood pressure isn’t as common in dogs as it is in people, a small percentage of dogs do develop this potentially life-threatening condition. However, fish oil supplements not only reduce inflammation in a dog’s joints, but they can also reduce the inflammation occurring in your dog’s cardiovascular system, which can help reduce his blood pressure to safe levels. Like high blood pressure, high cholesterol levels are not terribly common in dogs, but they can occasionally occur and lead to serious, long-term problems. Fortunately, the omega-3 fatty acids found in fish oil supplements usually help reduce cholesterol levels. Perhaps the most common reason owners administer fish oil supplements to their dog is to treat poor coat and skin health. Fish oil supplements usually work very well in this regard and quickly restore the moisture and shine to your dog’s coat and skin while reducing shedding. Dog fish oil supplements are often very effective at treating the conditions listed above, but it is important to understand that they also make fantastic preventative treatments. This means that they can work proactively and prevent problems from ever developing. Thick blood has a tendency to clot unnecessarily and it can impede your dog’s ability to deliver oxygen to all of his body tissues. But, fish oil supplements can help keep the blood thin, thereby improving your dog’s circulation and helping to prevent many cardiovascular problems from developing. Overall, including a food supplement that includes epa dha can be beneficial to heart health. 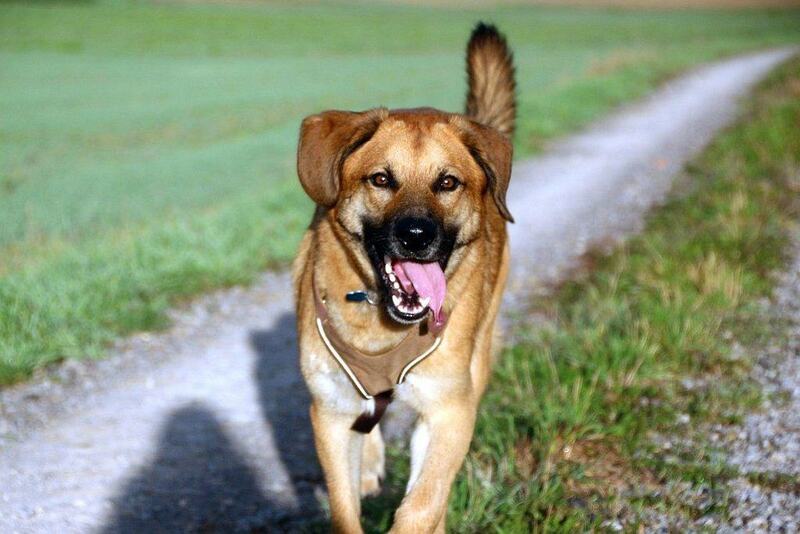 Your dog is exposed to pathogens on a daily basis. After all, many dogs don’t think twice about licking the ground or eating off the floor, so they ingest bacteria constantly. However, fish oil supplements help strengthen your dog’s immune system, which will help him fight off infections and recover from illnesses quickly. Pre-natal puppies require omega-3 fatty acids to ensure proper brain and eye development, so pregnant females are often provided with fish oil or other omega-3 fatty acid supplements. In fact, some trainers have noted that dogs supplemented with fish oils are easier to train than those who haven’t been provided with sufficient omega-3 fatty acids. Although the mechanism by which fish oil supplements help maintain proper body weight is not entirely understood, proper omega-3 fatty acid levels do appear to work in this fashion. By maintaining proper body weight, you can help your dog avoid a number of weight-related health issues, which is particularly important for large breeds. It is possible – if not likely — that researchers, veterinarians, and owners will discover even more health benefits provided by fish oils in the future. There may be a number of fish oil supplements on the market, but only a handful deserve your serious consideration. 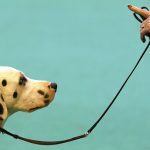 And of this handful, only a few – including the seven detailed below – are ideal for large dog breeds. Zesty Paws Pure Wild Alaskan Salmon Oil is a premium supplement designed to provide your dog with the omega-3 and omega-6 fatty acids he needs. One of the highest-quality fish oil supplements on the market, Zesty Paws Wild Alaskan Salmon Oil is packed with both EPA and DHA and features a taste most dogs love. User Reviews: Most owners who tried Zesty Paws Pure Wild Alaskan Salmon Oil raved about the product and rated it highly. Several owners reported significant improvement in their dog’s joint problems, while others noted that this supplement drastically improved their dog’s coat and skin condition. Bottom Line: Zesty Paws Pure Wild Alaskan Salmon Oil is easily among the best fish oil supplements on the market. It is appropriate for most dogs, but thanks to the significant amount of both EPA and DHA it provides, it is an excellent choice for large breeds. It isn’t the least expensive supplement on the market, but it’s not the most expensive, either. Nutramax Welactin for Dogs is another great fish oil supplement that large dog owners should consider. Prepared in the form of a highly palatable liquid, this supplement is easy to pour on your dog’s food, and it provides plenty of EPA DHA to keep your dog’s skin, joints and heart healthy. User Reviews: Nutramax Welactin for Dogs received some of the best reviews of any fish oil supplement we examined. The vast majority of owners were pleased with the product and reported relatively rapid improvement in their dog’s coat condition, mobility and energy level. Several owners even reported that their dog’s breath improved after using the supplement. Bottom Line: Nutramax Welactin for Dogs is one of the best options for large dog owners. It not only appears to work as advertised, but it is very easy to administer to your dog (most of whom seem to like the taste). This is a relatively pricey supplement, but if you want the best results, you usually have to shop at the high end of the price spectrum. Zesty Paws Omega Bites are premium fish-oil based supplements that come in a delicious soft-chew form. Packed with omega-3, omega-6 and omega-9 fatty acids, these supplements are a great way to help protect your dog’s joints, keeping his coat looking shiny and reducing unwanted shedding. Ingredients: Wild Alaskan pollock, pea flour, palm fruit oil, garbanzo flour, tapioca flour, flaxseed meal, algae, natural chicken flavoring, sunflower lecithin, cod liver oil, coconut glycerin, sorbic acid, and powdered cellulose. User Reviews: Most owners who tried Zesty Paws Omega Bites were exceedingly happy with their choice and reported excellent results with respect to their pet’s skin and coat health. Additionally, many owners who began using the supplements to improve their dog’s mobility or joint health reported that it worked as desired. Some owners even used the supplements like treats. 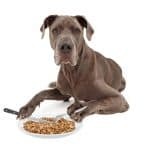 Bottom Line: Zesty Paws Omega Bites are a great way to ensure your dog gets all of the omega fatty acids he needs in a tasty and easy-to-administer manner. In fact, Omega Bites also contain Vitamin C, Vitamin E and Biotin, which means that they not only make a great fish oil supplement for your large dog, but a good vitamin supplement too. Grizzly Pollock Oil Supplement for Dogs is an all-natural fish oil supplement that will help keep your dog’s coat shiny and joints pain-free. Made from wild-caught Alaskan pollock, this supplement provides one of the best omega-3 to omega-6 ratios of any product on the market. User Reviews: Grizzly Pollock Oil Supplement for Dogs has received very positive reviews from most owners – 89% of those who’ve tried the supplement rated it as a 4- or 5-star product. Even owners who were initially skeptical about the value of fish oil reported that it helped improve their dog’s skin and coat health, and many reported incredible improvement in their dog’s mobility and energy level. Bottom Line: Grizzly Pollock Oil Supplement for Dogs is a very effective fish oil supplement, which appears to be very helpful for most dogs. It is made with only natural ingredients and is very reasonably priced. And, because Alaskan pollock is a sustainable resource, environmentally conscious owners can use this product with a clear conscience. Nordic Naturals Omega-3 Pet Oil Supplement is a very high-quality fish oil supplement that is specially formulated for maximum absorption. Unlike many other fish oil supplements, which are made from salmon or pollock oil, Nordic Naturals Omega-3 Supplement is made from anchovies and sardines. User Reviews: Nordic Naturals Omega-3 Pet Oil Supplement is one of the best-reviewed fish oil supplements on the market. Most dogs (even finicky dogs who’ve rejected other fish oil supplements) seem to love the taste, and owners reported excellent results – including increased mobility and improved coat condition — after using the supplement for a short time. Bottom Line: Nordic Naturals Omega-3 Pet Oil Supplement is a fantastic supplement, which has helped many dogs enjoy improved health. It is a great option for any large dog, but it is perhaps most valuable for picky pets, who don’t like the strong taste of salmon-based fish oils. Nordic Naturals Omega-3 Soft Gels are all-natural fish oil supplements made without any artificial colors or artificial flavors. Made from cold-water sardines and anchovies, these soft-gels are easy to administer and full of the EPA and DHA your dog needs to enjoy a healthy coat and pain-free joints. User Reviews: Most owners loved the results Nordic Naturals Omega-3 Soft-Gels provided. Several owners reported improved mobility after using these supplements, while others reported improvements in coat and skin health. A few owners did note that the soft-gels were rather large, but this shouldn’t be a problem for big dogs. Bottom Line: Nordic Naturals Soft Gels are a great choice for most dogs, although they may be a bit expensive for large canines. They are, however, great for dogs with picky palates, as the soft-gels don’t have a strong taste. Additionally, the fish used to manufacturer these soft-gels are sustainably sourced from some of the cleanest waters in the world. Grizzly Salmon Oil is one of the finest salmon oil supplements available for dogs – particularly large breeds. Made with only wild-caught Alaskan salmon (which contain more omega-3 fatty acids than farm-raised salmon), this supplement is made without doesn’t contain any artificial additives, flavors or preservatives – in fact, the only ingredient is pure Alaskan salmon oil. User Reviews: Most owners reported excellent improvement in their dog’s shedding after starting this supplement, although a few noted that it gave their dog diarrhea when they started using the product. However, this can occur with any fish-oil supplement, and it is easy to avoid by simply starting at a low dose and gradually increasing the amount given to your dog. Bottom Line: One of the few high-quality supplements that is made with only fish oil (there are no preservatives used in the formula), this is a great supplement for large-dog owners who want to provide their pet with only all-natural products. It is a bit expensive, but that’s to be expected from such a high-quality product. Does My Dog Really Need A Fish Oil Supplement? Dogs don’t have a specific need for fish oil; they have a specific need for omega fatty acids. More accurately, they require the right ratio of omega fatty acids. There are a number of different fatty acids, but the two most important are those referred to as omega-3 and omega-6 fatty acids. Most dogs obtain enough omega-6 fatty acids in their diet, but many diets are deficient in omega-3 fatty acids. These two fatty acids work in opposition to each other: Omega-6 fatty acids promote inflammatory processes, while omega-3 fatty acids help stop inflammation. So, when a dog fails to consume enough omega-3 fatty acids, he can experience a number of different inflammation-related health problems. The best way to avoid these types of problems is by providing more omega-3 fatty acids in your dog’s diet. It turns out that one of the best (and most cost-effective) ways by which you can provide extra omega-3 fatty acids to your dog is via supplements. Specifically, supplements made from one of the fish species listed earlier. Ultimately, this means that fish oil supplements are often one of the best ways to ensure the continued health and well-being of your dog. What’s the Difference Between DHA and EPA? Just like there are a number of different types of omega fatty acids, there are several different types of each fatty acid. Two of the most important omega-3 fatty acids, for example, are Docosahexaenoic Acid (DHA) and Eicosapentaenoic Acid (EPA). DHA and EPA provide different health benefits to dogs (although it is likely that there is some crossover). Simply put, DHA tends to provide most of the brain-health benefits for which omega-3 fatty acids are praised, while EPA usually provides the anti-inflammatory effects some dogs need. Accordingly, it is generally best to look for fish oil supplements that have the highest ratio of EPA to DHA you can. This needn’t be your primary deciding factor when choosing between two products, but it is definitely worth consideration. 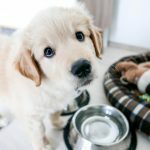 How Do I Choose a Good Fish Oil for Dogs? For starters, you can just pick one of the seven fish oil supplements we recommend. They’re all high-quality products that should help provide the desired health benefits. Avoid fish oils with artificial additives, as they’re not only unnecessary, but they may cause health problems. Try to pick a fish oil with high levels of EPA when supplementing large breeds. Be sure to check the amount of DHA and EPA provided per dose to determine if the supplement will be economical to administer. Look for a product that appears to be palatable to most dogs (all of the seven products we recommend meet this criterion). Whenever possible, try to stick to fish oil supplements that are made in the USA. However, those made in Europe or Canada are generally safe too. Some of the very best fish oil supplements are tested by third-party laboratories for quality and freshness. What’s the Difference Between Fish Oils, Krill Oils and Omega-3 Oils? Some owners are confused about the different types of supplemental oils on the market. You may, for example, see oils marketed as being made from fish, while others are labeled as being made from krill. Still, others are simply labeled as omega-3 oils. Ultimately, these products all work in the same basic way, treat the same types of conditions and contain the same active ingredients – omega-3 fatty acids. Nevertheless, fish oils are generally regarded as the best form of omega-3 acids. They not only tend to taste the best to dogs, but they also have higher levels of EPA and DHA per unit of volume than krill oil supplements or generic omega-3 fatty acid supplements do in most cases. Different veterinarians recommend different dosages of fish oil and other omega-3 fatty acid supplements. Accordingly, you may want to inquire with your vet before starting a dosage regimen to ensure that you are providing the proper amount of omega-3 supplementation to address your dog’s specific needs. Nevertheless, most vets recommend administering between 50 and 220 milligrams of omega-3 fatty acids per kilogram of your dog’s body weight each day. In other words, a 50-kilogram dog would require 2500 to 11,000 milligrams of omega-3 fatty acids each day. Other vets tend to base dosages on the amount of EPA and DHA contained in the supplements. Typically, they recommend about 40 milligrams of EPA per kilogram of your dog’s weight and 25 milligrams of DHA per kilogram of your dog’s body weight. To convert your dog’s weight in pounds to kilograms, simply divide your dog’s weight in pounds by 2.2. How Do I Give Fish Oil to My Dog? Fish oil typically comes in one of three forms. Each provides different benefits and drawbacks, so we’ll consider them individually below. Liquid fish oils are the most common on the market, and they’re probably the favorite of most owners. To administer them, you generally just add the indicated amount of fish oil to your dog’s food once or twice a day. Some liquids come in small bottles, and you’ll just use a teaspoon or provided cup to measure out the proper amount. Others feature a pumping device at the top of the bottle, so you can just dispense it by pressing down on the pump handle. Some fish oil liquids are safe to leave unrefrigerated, but others require refrigeration to prevent spoilage. Just be sure to check the label for storage directions. Most dogs find fish oils palatable, and some seem to love the taste. These products do vary a bit, depending on the manufacturer and the species used to make it, so your dog may like some brands more than others. However, it is important to note that a small percentage of dogs will find all fish oils off-putting, which will require you to choose one of the two forms described below. Soft-gels are small pills that your dog can simply swallow. They don’t have much of a taste, so some dogs will just accept them as a treat. However, they’re usually administered inside of a pill pocket or piece of cheese. Some owners may find soft-gels more convenient to administer than liquids – it will usually depend on your dog. If your dog eats them eagerly, they can be more convenient than oils and they don’t typically require refrigeration. However, they are often the most expensive of the three types of fish oil supplement, and large dogs often require several soft-gels per day. Soft-chews are essentially like treats made primarily from fish oils. They’re designed to be chewed (although big dogs will often swallow them whole), and most dogs will find them delicious. Soft-chews usually have more ingredients than liquids or soft-gels, but this is not necessarily a problem. High-quality soft-chews only contain natural additives to make the proper texture, consistency and hardness, and natural flavors (often chicken, peanut butter or bacon) to make the soft-chew taste good. Soft-chews are often more expensive per dose than liquid fish oil supplements are, but they are often more affordable than soft-gels. Many fatty foods and supplements can overwhelm a dog’s digestive tract and trigger a temporary (and often mild) case of diarrhea, and fish oil is made almost entirely of fat. This kind of diarrhea usually resolves on its own as your dog’s body adapts to the supplement, but you may need to reduce the amount provided and then gradually increase the dosage to the recommended level. Although rare, some dogs can be allergic to fish oils. Ironically, this can cause dry, itchy skin and poor coat health. Fortunately, many dogs end up being allergic to one species of cold-water fish, enabling you to switch to a fish oil supplement derived from another species. For example, your dog may be allergic to salmon, but not pollock. If your dog exhibits any other signs or symptoms after consuming fish oil, be sure to contact your vet. It is also important to talk to your vet about any other medications your dog is taking before starting a fish-oil supplementation regimen. Can you Give Your Dog Human Fish Oil Capsules? Sometimes, owners are tempted to administer human-grade fish oil capsules to their dog. But this is not a good idea, and it may even be dangerous. The problem is not the fish oil used in human-grade capsules – if anything, the oil used in these capsules will be of a higher grade than that used for dogs. The problems relate to the other ingredients used in fish oil supplements designed for people. There are a number of ingredients that are commonly included in human supplements that are toxic to dogs. The most notable toxic ingredient that often shows up in human-grade fish oil supplements is xylitol – an artificial sweetener. Xylitol is obviously completely safe for humans, but it is extremely toxic to dogs. But xylitol is not the only ingredient that may cause your dog to fall ill, so it is generally just a good idea to use human-grade fish oil supplements for you and your family and give your dog supplements designed specifically for pets. Fish oil for dogs is one of the best products available to ensure the continued health and well-being of your dog. 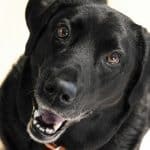 Not all dogs need them, but almost everyone will benefit from them and there are very few downsides to providing them to your pet. And this is especially true of large dogs, who frequently suffer from the conditions omega-3 fatty acids can help treat. If you think fish oil supplements may be a good choice for your dog, consider one of the seven listed above.